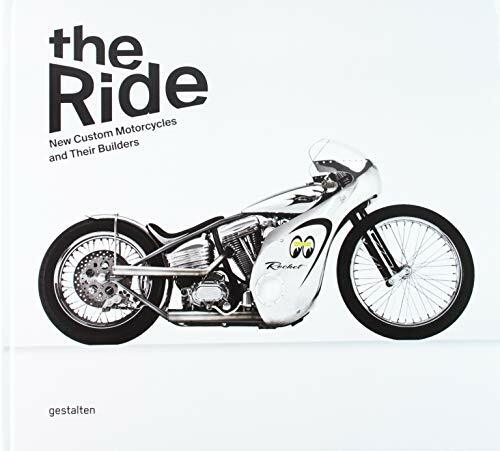 [PDF] The Ride: New Custom Motorcycles and their Builders | Free eBooks Download - EBOOKEE! Description: The motorcycle is back! Similar to the fresh contemporary scene that has established itself around bicycles in the last few years, the motorcycle is currently undergoing an aesthetic rebirth. A young subculture worldwide is discovering the motorcycle as an expression of its personality and creativity. The Ride explores motorcycle riding as it is meant to be: as a means of getting around with attitude, as an extension of one's own body, as an expression of personal freedom, but also as a significant challenge to technical expertise, craftsmanship, physics, discipline, and driving skill. In the motorcycle scene of 1960s Britain, it was frowned upon to drive a motorcycle as it was produced in a factory. Following in this historical tradition, The Ride focuses on those who are creating customized motorcycles that come as close to one's own vision of how pure riding should be as possible. For example, the creative young people who are buying old, wrecked bikes on eBay, removing everything but the motor and frame, and then rebuilding them in ways that are as radical and subversively creative as they are knowledgeable and respectful of tradition. The archetypes of the new motorcycles created in this way classic board racers, bobbers, cafe racers, and choppers may very well be 30-50 or even 80 years old, but what is made out of them is new, not retro. Decked out with state-of-the-art disk brakes, LED lights, gears, and drive components, these machines are more agile, faster, more radical, and therefore more fun than anything produced in the past. The Ride features transformations such as a boring plastic motorcycle made in Japan in the 1990s turned into a slick cafe racer with an Italian feel, a soulless neo-baroque machine turned into an in-your-face scrambler, or an old find from grandpa's barn turned into a absolutely comfort-free hardtail with the coolest of sounds. The book also presents small, local custom motorcycle workshops from around the globe that have established themselves with sought-after products that inspire other builders worldwide. It features extensive profiles of pioneers including Walt Siegl, Wrenchmonkees, DP Customs, Cole Foster, Deus, Shinya Kimura, Ian Barry, and Uwe Ehinger and their very different ideas of how a motorcycle should be. The unique bikes created in their garages sometimes made-to-order, sometimes in a limited series are often technically superior, better thought-out, and simply more radical than those produced by larger manufacturers who need to appeal to a broader audience. The spirit of this young motorcycle scene is reminiscent of that of current bike frame builders or even today's new food subculture. It's about making, transforming, or designing something with your own hands. In this case, something that will get a person from A to B, that makes noise, smells, vibrates, and comes to life. What could be more exciting, more analog, and more satisfying? No comments for "[PDF] The Ride: New Custom Motorcycles and their Builders".